Citizen Band Radio-What is it? Citizen band radio is a short distance radio communication system that operates within a selected range of forty channels. Majority of countries require no license to operate the radio service. A typical citizen band radio service is a two-way radio system that can be used for personal or business communication. Citizen band radio is also shared among a number of users and is characterized by one station transmission at a time. Other stations must, therefore, wait for a shared channel to be available. Citizen band radio originated in the United States. The year was 1945 and the service was regulated by the Federal Communications Commission. It is said that the bands were taken from Amateur Radio to form CB’s first 22 channels from the 11 meters band. There was a twenty-third channel that was shared among radio controlled devices. The foundation of class A and Class B Citizen band radio was laid out in 1948. Class B was characterized by simpler technical requirements and formed the basis of today’s public handheld radio devices. You can have a visit on the page for finding which is the best CB Radio on the market? By 1977 Citizen band radio channels had increased from the twenty-three channels to forty channels. The expansion was associated with the service’ wide popularity after the 1973 oil crisis. The Organisation of Petroleum Exporting Countries (OPEC) declared an embargo resulting to oil shortage, which therefore made the American Government impose a countrywide highway speed limit of 55 mph. Truck drivers caught amidst the traffic regulations resorted to using Citizen band radio; through which they notified colleague drivers of speed traps and traffic barriers. The truckers would also use the service to locate fuel stations with favorable supplies of oil. The 1974 strike protesting the highway rules was also organized through the CBs whereby the truckers would impose blockades and convoys to demonstrate. The popularity of Citizen band radio was also associated with the widespread use of the device on 1970s films such Smokey and Bandit and Convoy. What Are The CB Frequencies And CB Radio Channels? Looking for the list of CB 10 codes? Visit the page for more! What CB Radio Channels Do Trackers Use? Channel 19 is the most popular CB channel for trackers. However, due to the influx of traffic, most of the time channel 19 is busy. Despite the fact that channel 19 is also the nation’s standard channel for truckers, it is worth to note that it will not be found in some areas. Good examples are Washington, Oregon, and California which use channel 97 and channel 17. It is advised to use channel 15 from between Los Angeles to Lost Hills highway. Channel 21 was also a household channel for Los Angeles to San Diego. California uses channel 1-15. The Citizen Radio Frequency chart and range were harmonized by the Federal Communications Commission in the United States. In Europe, the Citizen Radio channels are regulated and were harmonized by the European Conference of Postal and Telecommunications Administrations (CEPT). Different channels are used to serve a different purpose. For instance, channel 13 is mainly for marine and RV. Channel 14 is used with walkie-talkies. Channel 10 for regulating regional roads while channel 17 is used to controlling highway traffic in the North. There is also an emergency channel for civilians caught in devastating situations, channel 9. Channel 13 and 14 are also suitable for high power industrial activities. Frequencies above 28,000 MHz in the CB radio frequency chart are considered illegal by FCC. The body imposed huge fines on anyone caught transmitting on those frequencies. The fine is mainly because all of those channels are for licensed Amateur radio operations. Majority of them also use the morse code technique, placing any civilian user under the risk of attracting regulatory officials. Licensed operators are allowed by FCC to modify and use CB radio for Amateur radio’s range of 10 meters. The resulting frequency is called a bootleg frequency. Note that everyone, including amateur operators, is supposed to use CB radios that have been approved by FCC. Approved radios are more difficult to bootleg or modify than non approved ones. Freebanding is where an operator uses different channels within the 11 meters frequency. Majority of the frequencies within this range are outside the allowed CB radio frequency range. They are mostly used by private individuals or institutions that are licensed or authorized to do so. International call frequencies 26.285 and 27.555 are considered unauthorized frequencies. One is only allowed to listen to such frequencies, once they talk, it is considered an intrusion and therefore one is placed under the radar of FCC. Freebanding is illegalized for two reasons. Illegal linear amplifiers which are used to freeband are poorly designed and often result to harmonic distortion of Citizen band radio frequency. The other reason comes about due to emergency situations which require all channels to always remain open. Therefore disruption caused by freebanding is a great risk. A person considering to use CB radio should take a look at a number of FCC laws governing the channels.CB radio operators are advised to give first priority to emergency cases and alerts. Such a regulation may appear meager but is crucial to focus on, in order to avoid being on the wrong side. 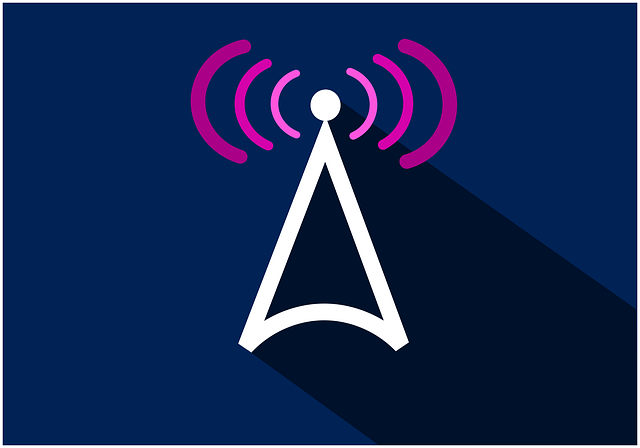 One also needs to ensure the radio devices they buy are FCC approved.FCC advises operators to put great consideration into the unit sizes, CB antennas, and installation to ensure quality sound reception. hi im trying to get a chart list of the ssb freq and cw freq can you help me get a list of these freq .